Venison Meatballs are spicy, moist, and easy to bake ahead then freeze. It seems that every culture that enjoys meat has some form of meatball. You’ll find Italian, German, Greek, Swedish, and even Japanese meatballs. It’s just a matter of what sauce and seasoning you use in the ground meat. And, by using just a few tricks, you can be sure that your meatballs are perfect. By adding a bit of hot Italian sausage to the ground venison, you’ll not only increase the flavor of the baked meatball but you’ll render them amazingly moist and tender. Meatballs are a staple in our house and should be in yours too. 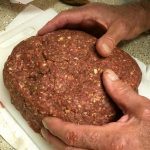 You can use this venison meatball recipe for the main dish, hoagie sandwiches, and appetizers. Pretty versatile, don’t you think? For this recipe, you will need ground venison, hot Italian sausage, panko crumbs, garlic cloves, eggs, Italian seasoning, chipotle chilis in adobo sauce, kosher salt. Before we moved to the Cave, our apartment here, we fixed the rest of our frozen garlicky meatballs for Michelle, our daughter, and family. They came down to help us move some things out of our old house. So for lunch, we decided to fix Italian hoagies. Let me say, those meatball subs were a huge hit! So now, we were not only homeless but without meatballs in our freezer. A sad state of affairs to be sure. And so, Honey made the venison meatballs which we shared with the family. Now, we’re planning on making some delicious recipes out of those sausages. 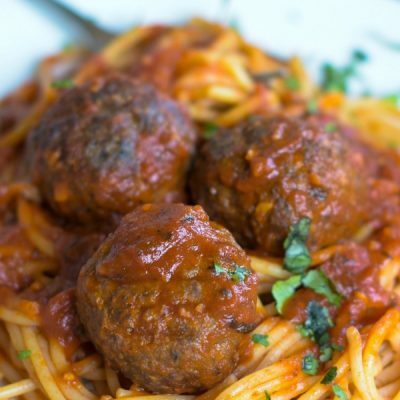 We know that whenever people think of meatballs they think of Italian meatballs in a pile of spaghetti. But did you know that in Italy they don’t serve meatballs with pasta? Usually, the pasta comes first and the meatballs follow. Frankly, I think think the popularity of spaghetti with meatballs started with that alley scene in Lady and the Tramp. Use them with rich brown gravy and mushrooms. Include them in a delicious soup. A sweet and sour sauce. Sandwich as a slider or hoagie. Swedish meatballs with rich gravy. Japanese meatballs with ginger, garlic, and scallion. Have we convinced you how handy it is to have frozen baked meatballs on hand? Have you ever tasted a meatball that has the texture of golfballs? The secret to preventing a dense meatball is gently mixing the ingredients and NOT over packing the meatball. You can use a scoop to measure out the meat or you can weight them. We use our digital scale, and let me tell you that is one handy-dandy piece of equipment. Every meatball is identical and perfect. In order to prevent the meat from sticking to your hand, moisten them with water. Once you measure the meatball place them on a non-stick metal cooling rack placed inside a foiled lined baking tray. You can also place the meatballs on a parchment-lined or foiled-lined baking sheet. We prefer the rack because air can circulate around the meatball. After the meatballs are baked and cooled, you place them on a lightly oiled wax paper. Now, this may seem odd to spray wax paper but we’ve had things stick to the paper when we try to remove the frozen item. Once the venison meatballs are frozen, place in a freezer bag and then in a freezer container. Yes! 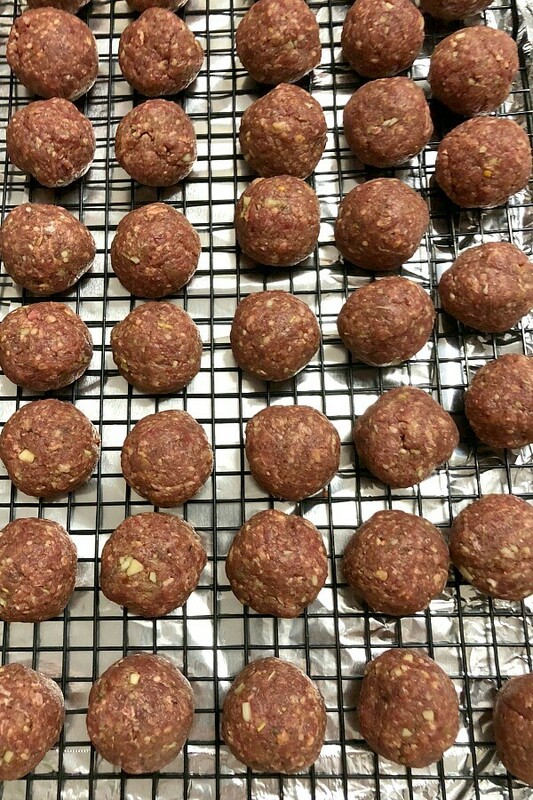 We use both a freezer bag and a freezer container because we want our delicious meatballs to stay fresh tasting when thawed. When you’re in the mood for a meatball recipe, thaw out the amount you want to eat and make whatever recipe tickles your fancy. They are so easy to make it’s a shame not to make a large batch to keep on hand. If you don’t have ground venison, just substitute ground beef or tenderloin for the meat. We hope you give this recipe a try we know you’ll enjoy it. Thank you so much for being part of All Our Way! These venison meatballs are perfect. 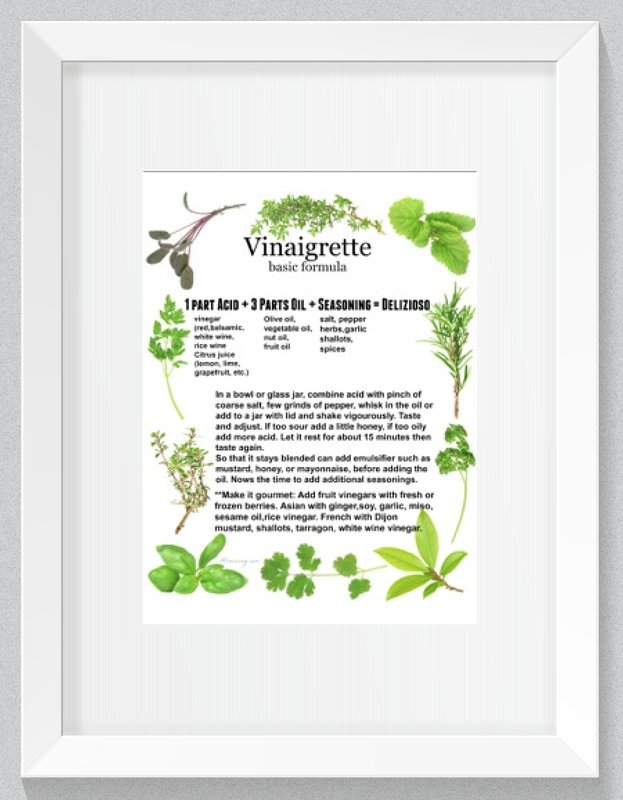 They are so tender and moist you’ll be dreaming up recipes just so you can use them. And since they freeze beautifully, there’s no reason you can’t have a good supply of them so when the mood hits, you can quickly thaw some out. I think of them as meal lifesavers! There is no limit to what you can make. If you like this recipe, please consider giving it a 5-star rating. It helps others to decide whether to try this recipe. Baked Venison Meatballs are juicy and tender and make a great start to your main dish, hoagies, or appetizer. They freeze beautifully so it's easy to keep them on hand. The dishes you can make limitless. Let your imagination go wild. Use a disher to scoop an even amount of the meat mixture or use a kitchen scale -- we made the meatballs 2 oz. each. Moisten your hands with water if the meat seems to stick. Place meatballs on a parchment-lined baking sheet or on a vegetable sprayed non-stick cooling rack placed inside the baking sheet. Bake in a preheated 350 F. oven for 35 to 40 minutes. The amount of time will depend on the size of your meatballs. Don't overcook. Remove the baking sheet from the oven and let the meatballs cool. Once cool place the meatballs on a lightly oiled sheet of wax paper. Freeze. Once frozen store in a freezer container or freezer bag. We use both to keep them fresher. When ready to eat, thaw out the number of meatballs you want to use and add to whatever recipe you like. Note: Recipes and content from © 2014-2018 All Our Way are copyright protected. Please do not use content or recipe without prior written permission. If you want to share the information, please link to this post. Grazie! I adore meatballs, and venison is popular in my area. I can’t wait to give these a try! I have some venison steaks in the freezer someone just gave me. I wonder if I can grind the meat to make these with. My husband loves fried cutlet steaks so making meatballs fried he would go nuts over. Not sure if it will work but I am going to try this! Meatballs are a classic favourite in our house. Great idea to use venison. They look really well cooked. Wow! 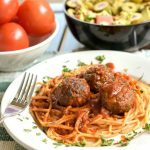 I love meatballs, and this recipe using venison should be a big hit in our house this deer season! I’m always looking for new and creative ways to use up our harvest. Thanks for the great recipe! I will be making these next Sunday as an appetizer for game day! I am drooling. Pasta and meatballs is such a great combo. Can’t wait to try your recipe. Yummy! We don’t do venison in our house, but I have a lot of friends up in Vermont that do – they’re going to love this when I send it to them! Thank you, Les, for sharing. We appreciate it. Hi, Nick! Yes, they are so versatile. We love them. My one year old’s favorite food? Meatballs! Making these but will make half spicy and half mild for him. Thanks! 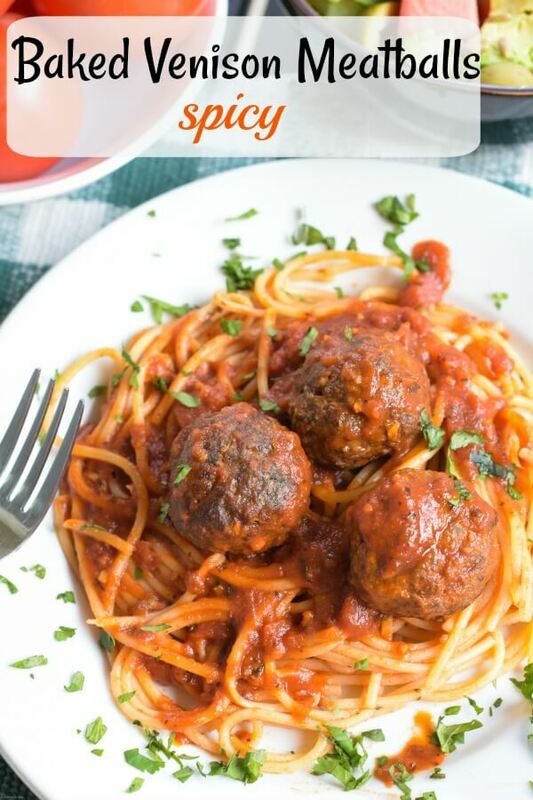 That’s a wonderful post with great tips.I need to have meatballs with pasta now! 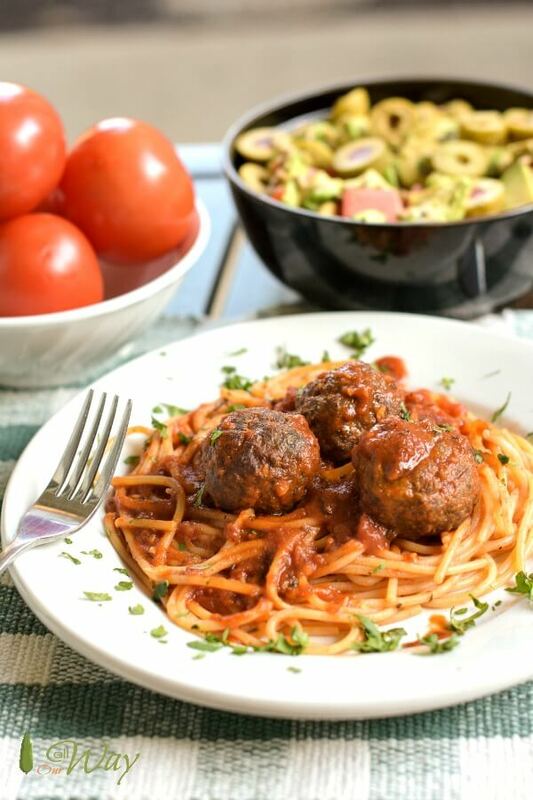 What a fun take on the classic meatball! We have a couple of friends who are avid hunters so we’ll definitely be passing this recipe along to them. My husband is a hunter, and he always cooks the venison! He would be over the moon if I slammed out these meatballs! They look perfect!! Venison is one of those meats that when I eat it, I think, why don’t I eat more of this! I’ve never had it in meatball form but I certainly will now! This looks delicious and easy!! 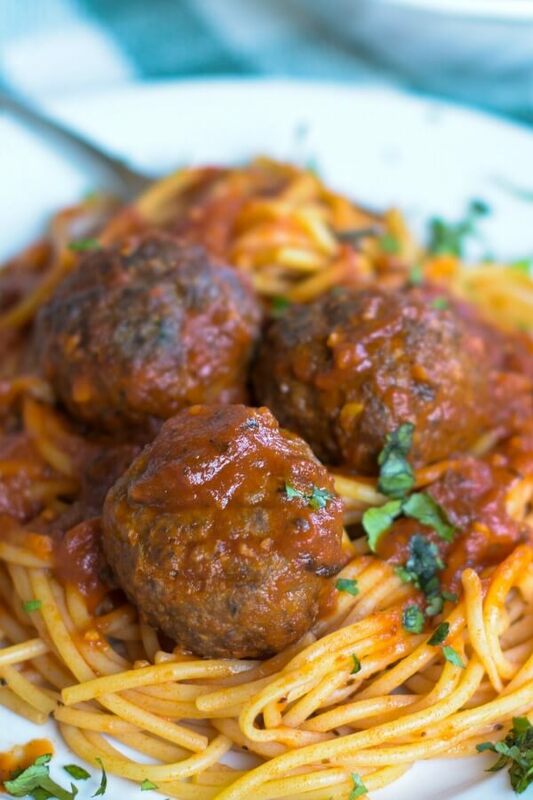 You can never go wrong with a meatball…especially when paired with pasta. I love how you could freeze these. Definitely convenient for busy weekday dinners! YUM! 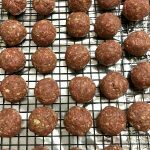 Great tips on freezing the meatballs, I always make a huge batch because my kids love them, but I am definitely making more next time and freezing them so we have some on hand! I’ve never made meatballs with venison, and now I want to have them for dinner! I love that you’ve paired the venison with hot sausage. These meatballs must be so full of flavor! I also love your suggestions for serving meatballs other than “spaghetti and meatballs”. We enjoy them in soup too! I love how many ways you cook with deer meat! That’s such a good use of game meat. 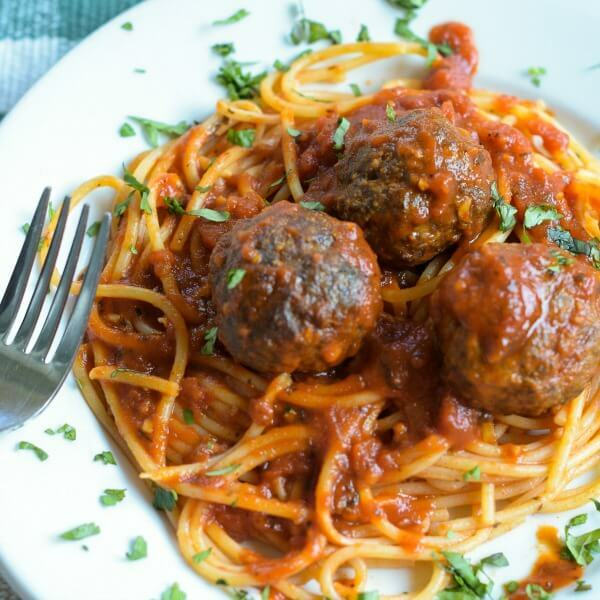 AND I love how versatile meatballs are– DELICIOUS! Wow! What a great way to answer the “if you’re bored…” ha! I love me some venison but have never made meatballs out of them. Now I know that’s a mistake! These sound absolutely incredible!! I just made meatballs last week and totally agree with your tips on not over mixing and packing them! We also used a scoop to portion it and a very gentle hand to round them out. I haven’t had version meatballs yet but I’m looking forward to trying a new meat for meatballs! 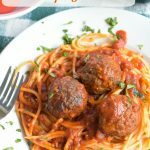 I never tried venison meatballs before, but I have an avid hunter friend that I know would love to try these meatballs asap, so I think I will have to make them for him! I really like game meat. Adding the hot Italian sausage is genius. I usually add olive oil but I like the extra richness your technique would add. I really like meatball hoagies and I like meatballs with mashed potatoes. Yum! Thanks for this. Your meatballs look positively scrumptious. They remind me of the time I hit a deer with my car (er, rather the deer hit me). Long story short, we had a lot of venison that winter. Unfortunately, my supply of venison has dried up but if I find myself with some, I will make your recipe! These sound really tasty. I love them in both pasta and as an appetizer. The fella lives them in a sandwich roll best! The adobo sauce is a fun addition to give these a good kick. I like that you used abodo sauce along Italian sausage and venison to make this delicious meat balls. Spaghetti dinner is good. I think we can make meat ball soup too. Wow, these meatballs look very tasty! This is a great idea for dinner. Ohhh I can’t WAIT to try this! Thank you for this great recipe! So YUMMY! These meatballs look absolutely amazing. So flavorful and super delicious. This is something that my kiddo would love very much. I’m saving this to make to my family. I envy you with all the version deliciousness around you. We love meatballs but have never tasted venison yet. This sounds so flavorful. And I love that this is baked. I love meatballs as an appetizter. These look delicous. I have never had venison meatballs before. These would be great on some pasta or stuffed in a sub too. So many wonderful ways to enjoy delicious meatballs. Perfect to feed a crowd…and for freezing too. My husband is 100% Sicilian and doesnt eat pasta do you believe it? but he loves meatballs and hunts every year in his hometown. Going in November and hoping to get a deer. He will love this when I make them thanks! I never thought about making this before! Great tips on making meatballs.